A northern pintail drake dabbles in the shallow waters of Horse Lake. 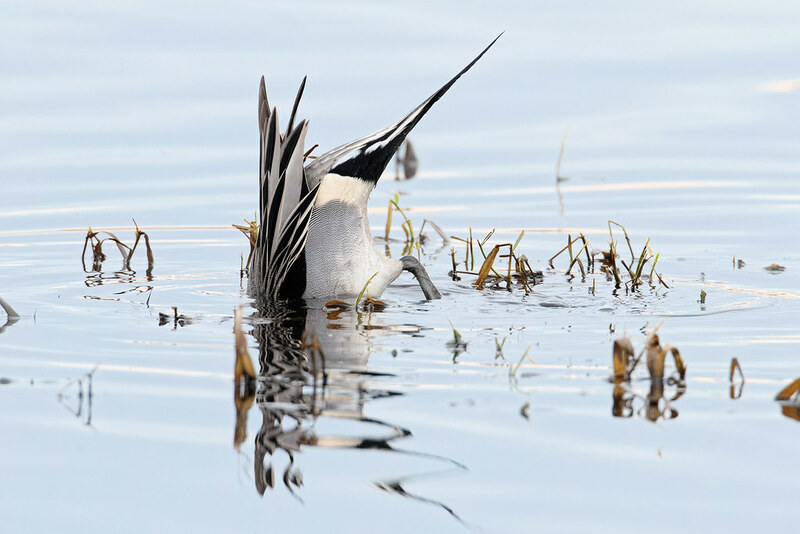 This entry was posted in Birds and tagged auto tour, dabbling, eating, Horse Lake, northern pintail, Ridgefield National Wildlife Refuge, River S Unit, Washington. Bookmark the permalink.